Pool presents : Grace Carter !!! « Pool presents : Lions Head !!! 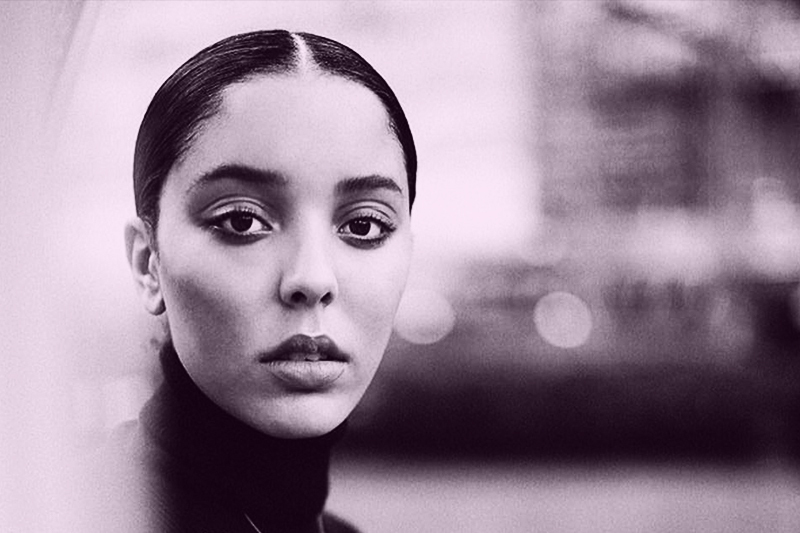 Fresh off the back of supporting Haim, Dua Lipa, Jorja Smith, Mabel, Dermot Kennedy + Rag N Bone Manon their recent UK and European tour (with showsat Alexandra Palaceand Brixton Academy), rising star Grace Carter shares heremotionally chargednewtrack ‘Why Her Not Me’. As with all Grace’s songs ‘Why Her Not Me’ strikes the listener to the core. Although it’s message could be universal, the meaning behind it is in fact much more personal. ‘Why Her Not Me’ tackles the notion of jealousy and abandonment Grace felt for her father, who’s lack of presence in her early life inspires a lot of her music. Grace sees her music as letters she never got to write and everything she wanted to say but never could until now. The London born, Brighton raised singer has been growingfrom strength to strength, having releasedher 4-track debut EP ‘Saving Grace’ featuring ‘Half of You’, an honest and touching song about feeling incomplete,‘Saving Grace’a track dedicated to the women in her life,the Mike Dean (Kanye West, Beyoncé) produced ‘Ashes’ and the heart wrenchingpiano ballad ‘Silhouette’. Grace grew up in Brighton listening to the likes of Lauryn Hill and Nina Simone, which is evident in her powerful songwriting, whichshowsemotional and musical maturity. She began songwriting during her school days, and at the age of fourteen was already performing her own material in public. One year later, Grace had converted her bedroom into a makeshift recording studio and when she reached Music College she taught herself the piano by watching YouTube videos. Gracehas sold outher first solo show at London’s Hoxton Square Bar & Kitchen and has recently announceda headline show at Village Underground on 29th October. Armed with emotionally exposing songs and a once-seen-never-forgotten live presence, 2018 looks set to be Grace’s breakout year. This entry was posted in Allgemein. Pool presents : Blueface !!! Pool presents : Ora The Molecule !!! Pool presents : Henry And The Waiter !!! Pool presents : Joplyn !!! Pool presents : Motez !!! Pool presents : Babert !!! Pool presents : What So Not !!! Pool presents : Anna Loos !!! Pool presents : Alles Solar !!! Pool presents : Joris !!! Pool presents : Winston Surfshirt !!! Pool presents : Crooked Colors !!! Pool presents : Fatboy Slim / Purple Disco Machine !!! Pool presents : Fisher !!! Pool presents : Claptone !!! Pool presents : Max Giesinger !!! Pool presents : Eagle-Eye Cherry !!! Pool presents : Riton & Kah-Lo !!! Pool presents : Lions Head !!! Pool presents : Rea Garvey !!! Pool presents : Crooked Colours !!! Pool presents : Max The Sax !!! Pool presents : Bonaparte !!! Pool presents : Purple Disco Machine !!! Pool presents : 2raumwohnung !! !